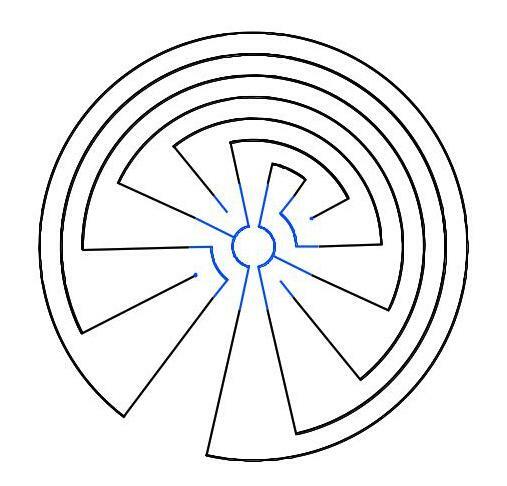 In alternating labyrinths with multiple arms the pathway does not traverse the main axis. However, it must traverse each side-arm (see below: related posts 1). How then have the axes to be traversed in the MiM-style? Let me first remember that I have already transformed a non-alternating labyrinth with one arm into the MiM-style (see related posts 2). From this it can be seen what happens when the pathway traverses the axis (figure 1). At the places where the pathway traverses the axis, the innermost circle is interrupted. 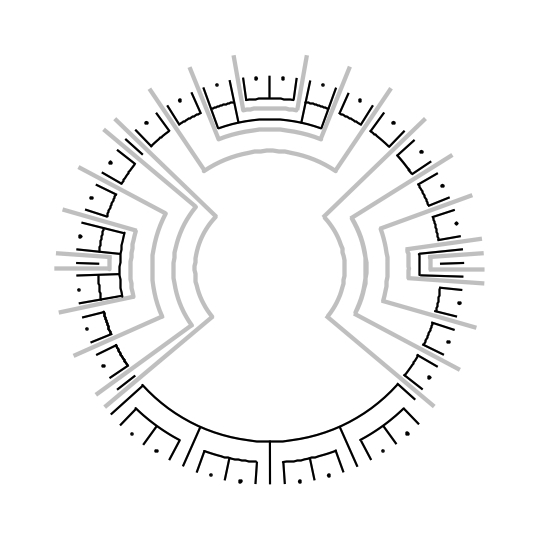 The pieces of the pathway traversing the axes, and only these, in the MiM-style pass through the center of the seed pattern. 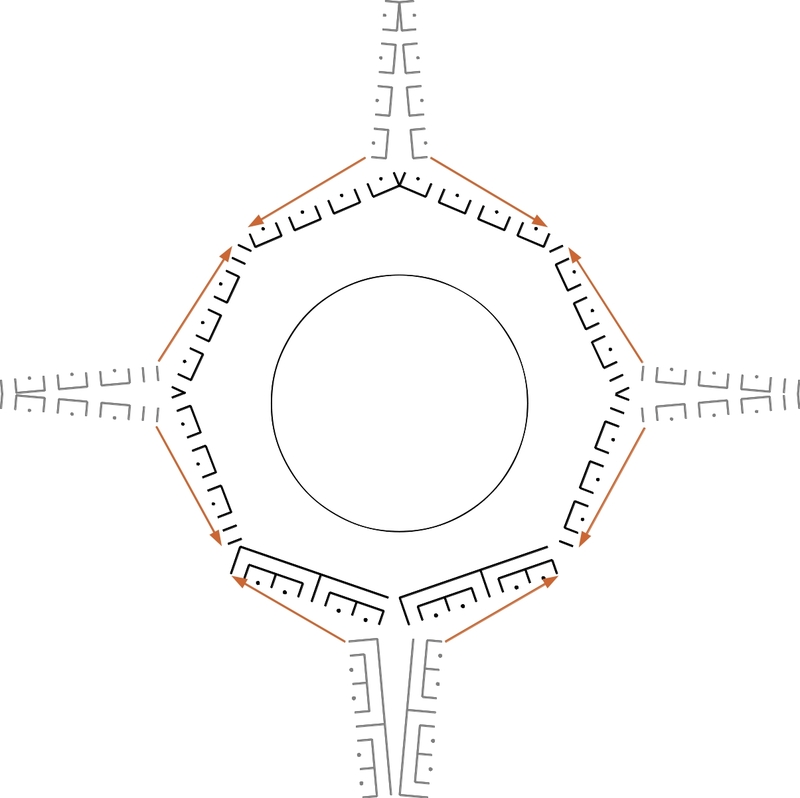 In all alternating one-arm labyrinths the innermost circle is closed. The center of the labyrinth lies outside of it in any case. Now for the Chartres type labyrinth in the MiM-style, in each side-arm several pieces of the pathway have to be passed through the middle. From the seed patterns it can clearly be seen, where the side-arms are traversed. 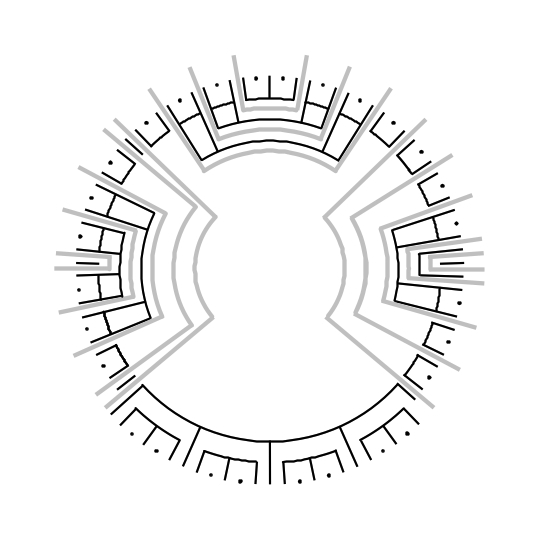 These are the gaps between the pieces of arcs where the innermost circle is interrupted. Let us have a look at the firs side-arm in detail (figure 2). The seed pattern of this side-arm lies in west quadrant (highlighted in black). The purpose is to transform the pieces traversing this side-arm into the MiM-style (figure 3). 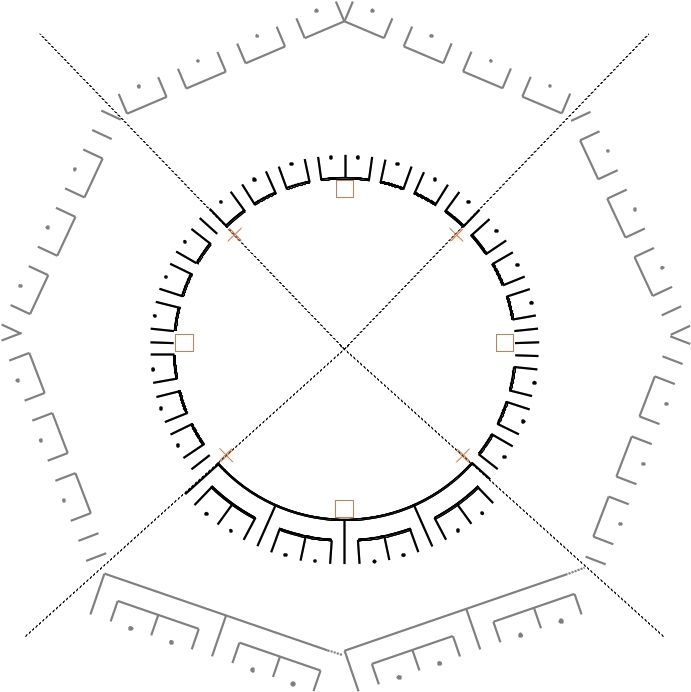 As everybody knows, the pathway in the Chartres type labyrinth first leads along the main axis to the 5. circuit, makes a turn at the first side-arm, returns to the main axis on circuit 6 and from there reaches the innermost 11th circuit. 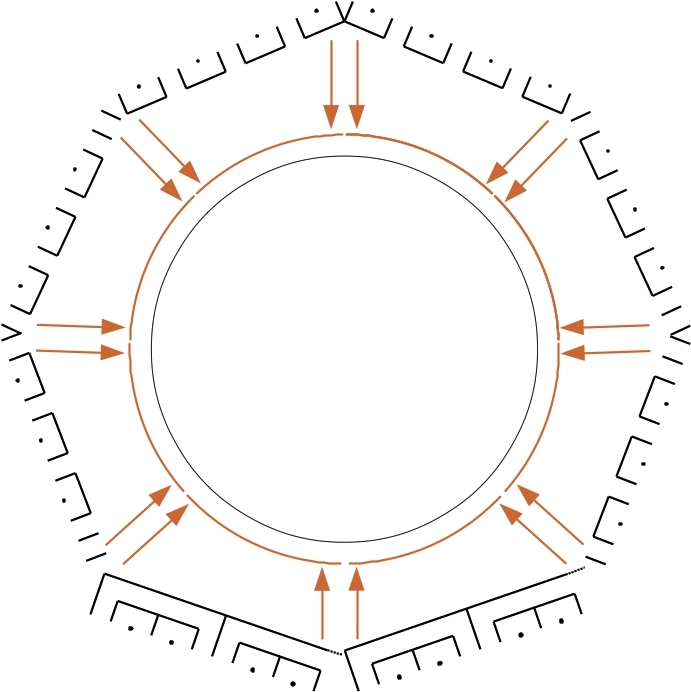 On this circuit it follows half the arc of a circle whilst it traverses the first side-arm. Then it makes a turn at the second side-arm. From there it returns on the 10th circuit to the main axis whilst passing the first side-arm again. The pathway also traverses the first side-arm on the 7th, 4th and 1st circuit. The pieces of the pathway on the outer circuits enclose those on more inner circuits and outermost piece of the pathway on circuit 1 encloses all others. Figure 4 shows what happens with the pieces of the pathway traversing the axis (colored in red, the color of the Ariadne’s Thread), when the side-arm is transformed from the concentric into the MiM-style. The left image shows the side-arm split and slightly opened. The course of the pieces of the path is still quite similar as in the base case from bottom up or top down. However, all pieces of the pathway bend to the opposite direction. In the central image the original course is hardly recognizable any more. Both halves of the side-arm are widely opened. The pieces of the path sidewards come in to the one half and leave from the other half of the side-arm. Between the two halves of the side-arm their course is in vertical direction. The pieces of the pathway on inner circuits enclose the pieces more outwards. The innermost piece on circuit 11 encloses all others. Next, there is only a slight change from this to the right image. All the pieces of the pathway and the seed pattern are transformed into a shape so that they lie between (pieces of pathway = pieces of the Ariadne’s Thread) and on (seed pattern for the walls delimiting the pathway) the spokes and circles of the MiM-auxiliary figure. Figure 5 shows all three side-arms with all pieces of the pathway traversing the arms in the MiM-style. The west and east side-arm have five each, the north side-arm has three pieces of the path traversing the axis. Therefore in the center of the MiM-auxiliary figure additional auxiliary circles are needed to capture the paths traversing the axes. 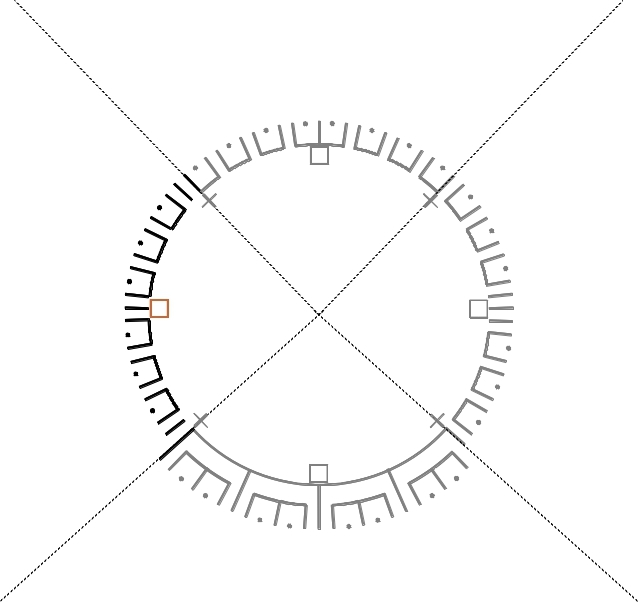 For this, five auxiliary circles are required. And also the spokes have to be prolonged further to the interior. This is because the walls delimiting the pathway (black) all come to lie on the auxiliary circles and spokes. 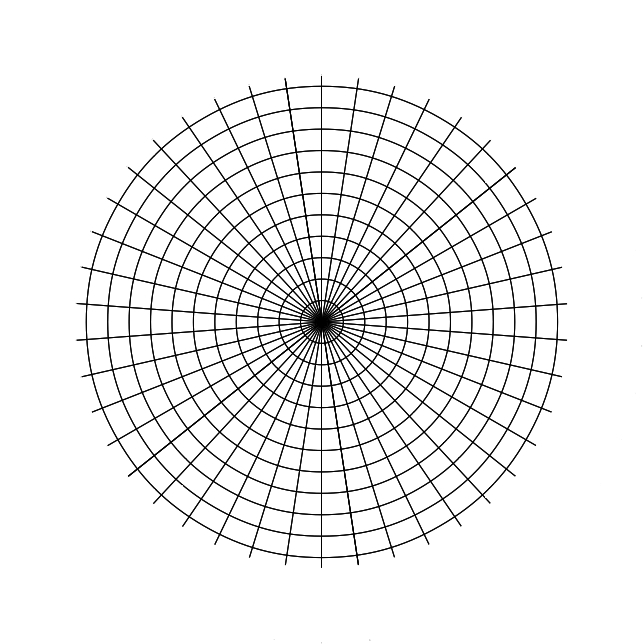 Near the center the distances between the spokes are continually narrowed. Therefore the innermost auxiliary circle must have a certain minimum radius for the walls and the pathways not to overlap each other. 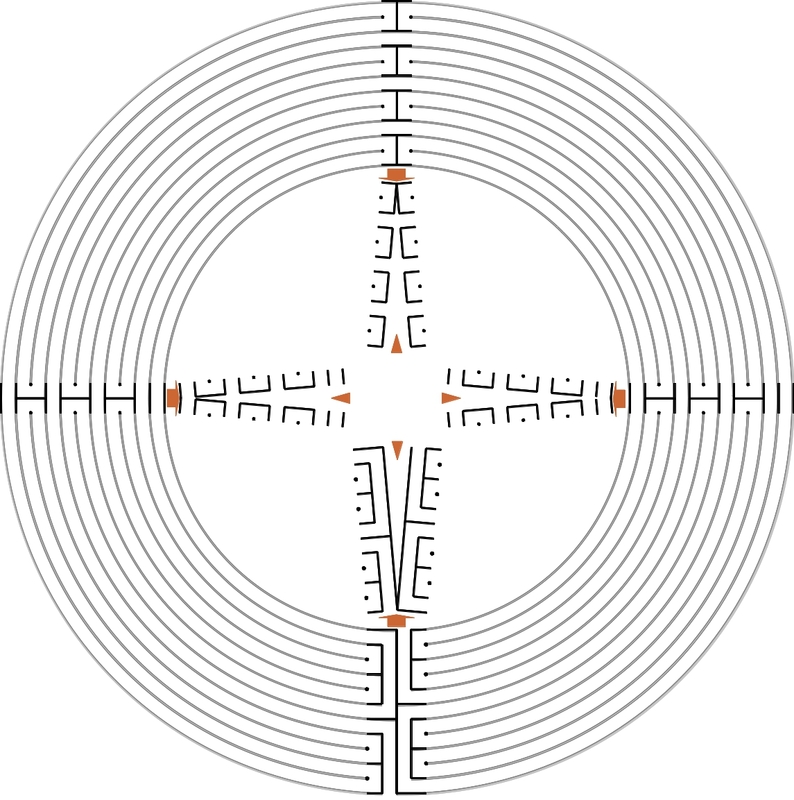 Now we have all elements together we need to finalize the Chartres type labyrinth in the MiM-style. Until now, almost exclusively labyrinths of the basic type (Cretan type) have been implemented in the Man-in-the-Maze style. 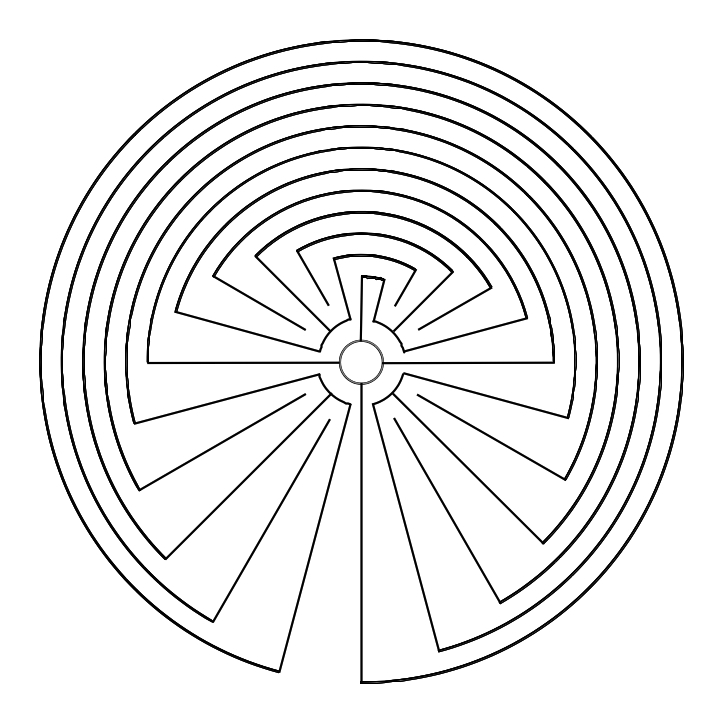 All one-arm labyrinths can be drawn in this style (see related posts 2, below). But is this also possible in labyrinths with multiple arms? 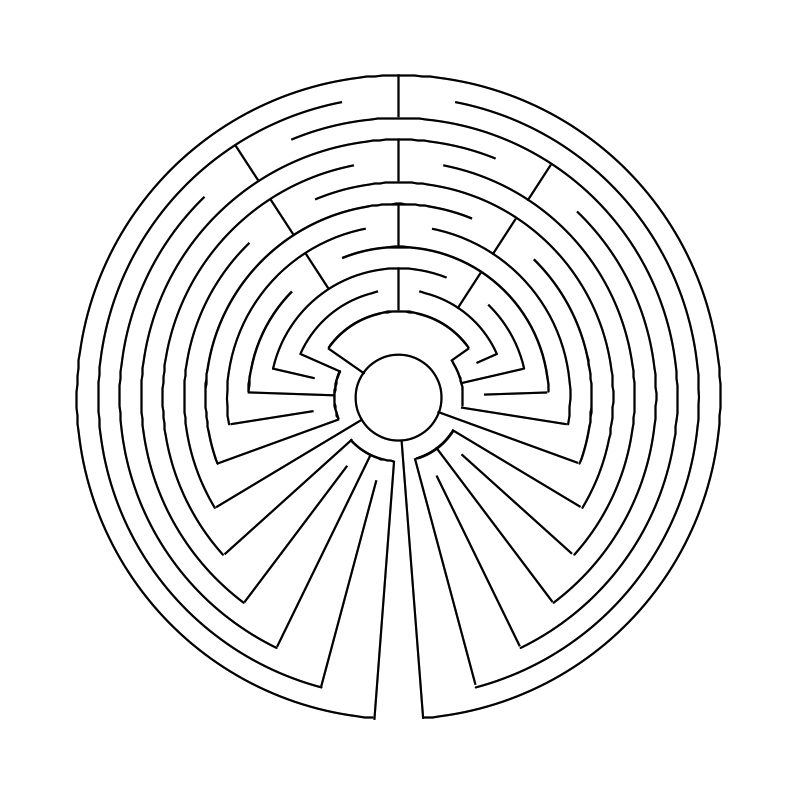 I have tried this out with the most famous labyrinth with multiple arms, the Chartres type labyrinth. And it works. I have already shown the result in January (see related posts 1). In order to arrive there, a prolonged process was needed. In the following I will describe the detailed steps. 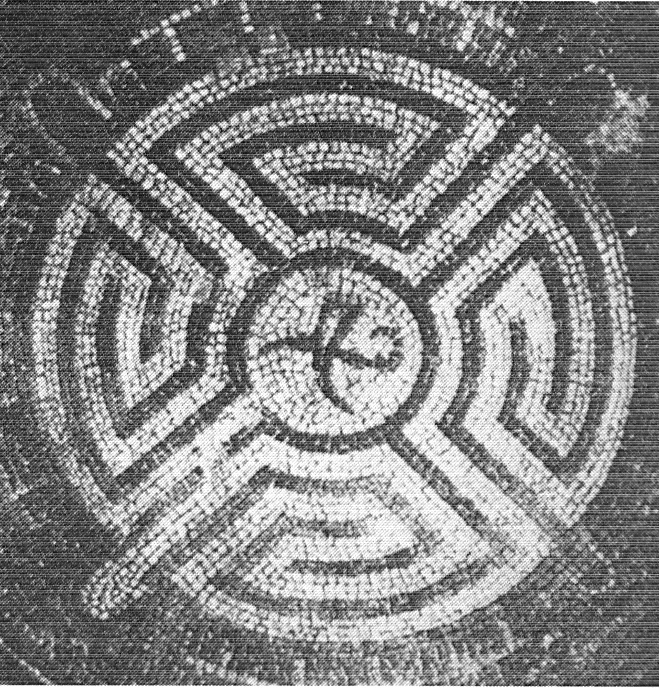 Jacques Hébert† has shown on his website (see further links 1, below), that a one-arm labyrinth exists, which has the same seed pattern as the main axis of the Chartres type labyrinth. 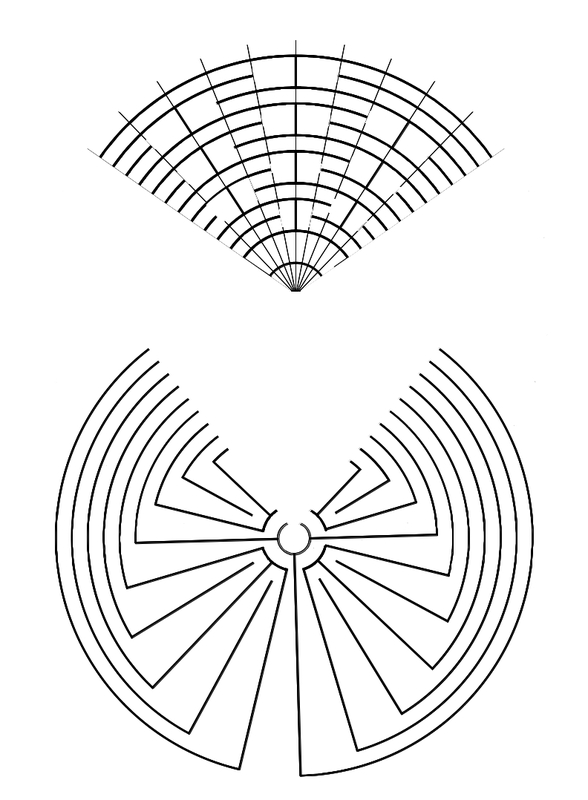 He had derived this from the enigmatic labyrinth drawing (fig. 1) contained in a medieval manuscript. For this, he had deleted the hand drawn figures indicating the side-arms and closed the gaps where the walls delimiting the pathway were left interrupted. He had named the labyrinth after learned Benedictine monk Heiric of Auxerre who had compiled this manuscript in about 860 – 862. 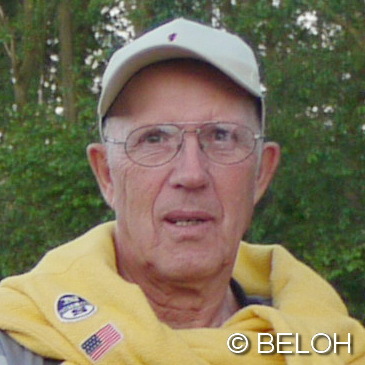 The website of Hébert is no longer active any more. Thanks to a note by Samuel Verbiese we can now find it again in The Internet Archive (see further links 2). 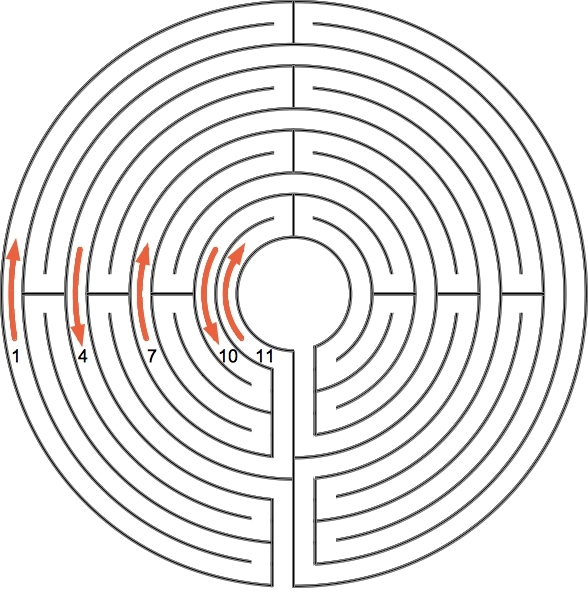 Erwin also has introduced this type of labyrinth in this blog (see related posts 3). 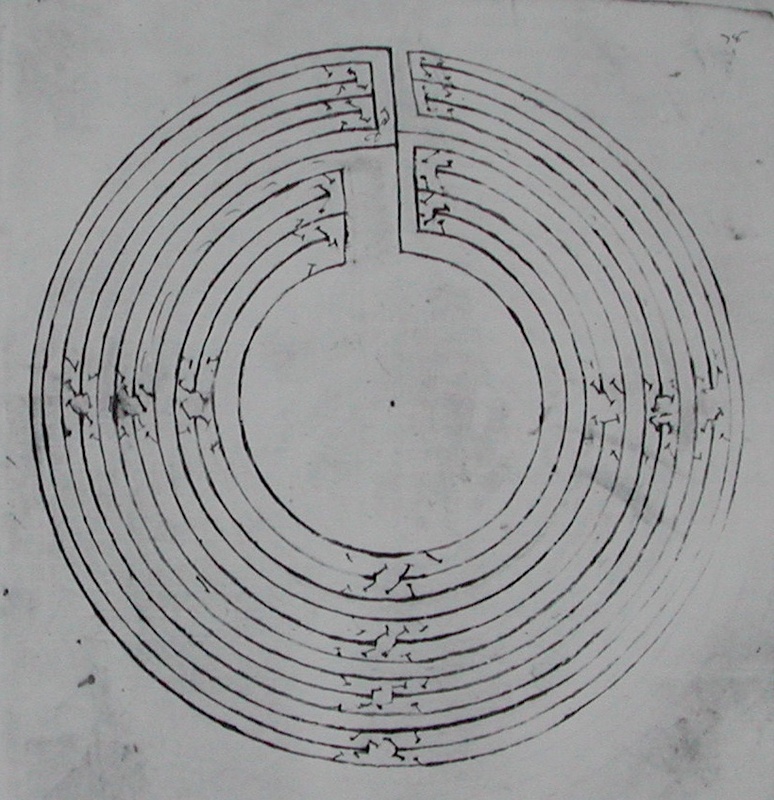 The Heiric of Auxerre labyrinth is ideally suited as a starting point. 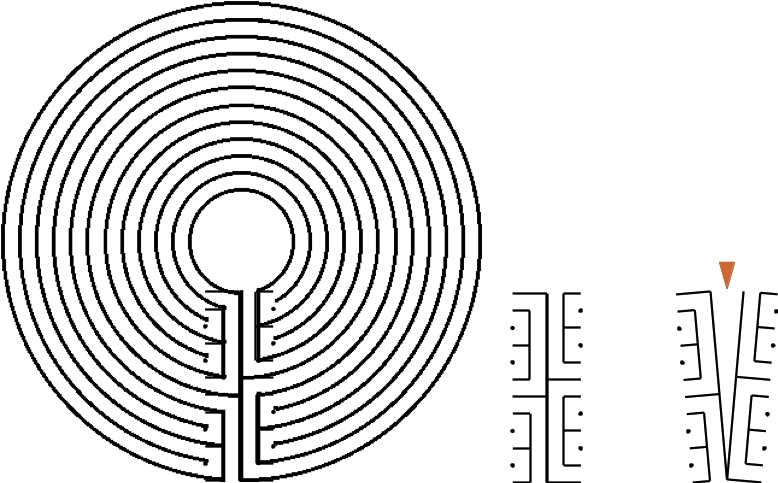 It is quasi the Chartres type as a one-arm labyrinth. So let us first transform this labyrinth into the MiM-style (fig. 3). 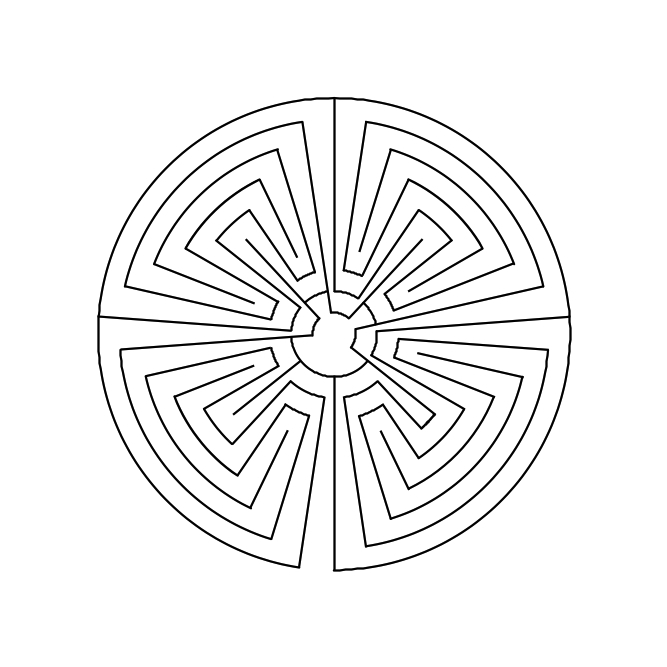 The seed pattern of this labyrinth has 24 ends as have all seed patterns of labyrinths with 11 circuits. So we need an auxiliary figure with 24 spokes for the transformation into the MiM-style. Next, the side-arms have to be included. A first attempt can be made by retrieving the barriers. 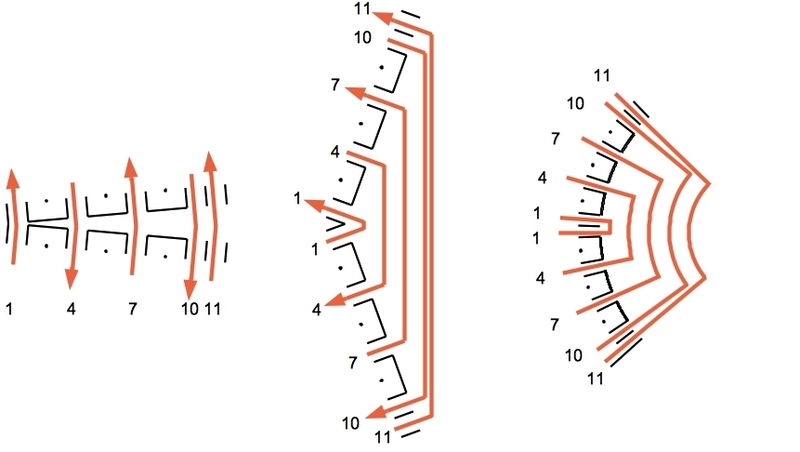 This can be achieved by inserting 3 additional spokes for each side-arm as shown in fig. 4. Thus, the auxiliary figure is extended from 24 to 33 spokes. The result is shown in fig. 5. 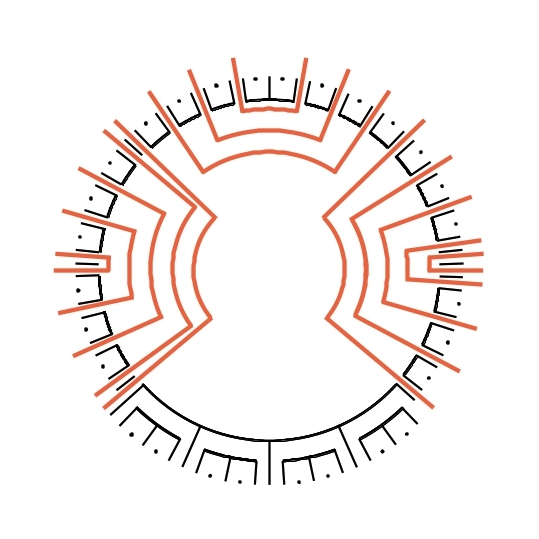 This now looks quite decently like a MiM labyrinth. However, upon a closer view it reveals as unsatisfactory. Fig. 6 shows the reasons why. 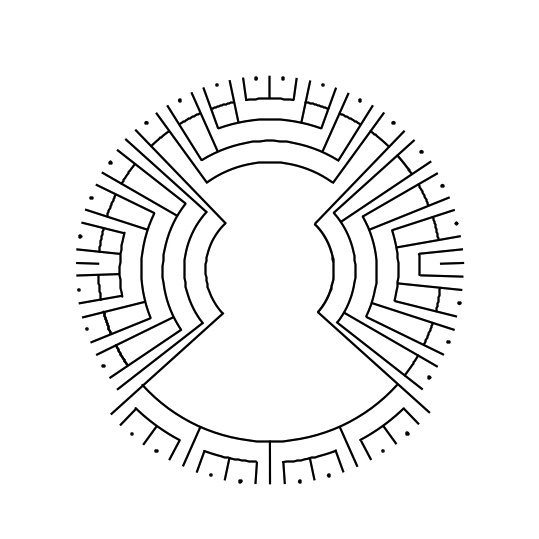 This labyrinth is of a hybrid style. While the main axis is formed in the MiM-style, the side-arms, however, are in the concentric style. The turning points of the pathway (red arcs in the figure) on the main axis are aligned along the circles of the auxiliary figure. On the side-arms, however, they are aligned along the spokes. What is characteristic for the MiM-style is the seed pattern of the main axis. 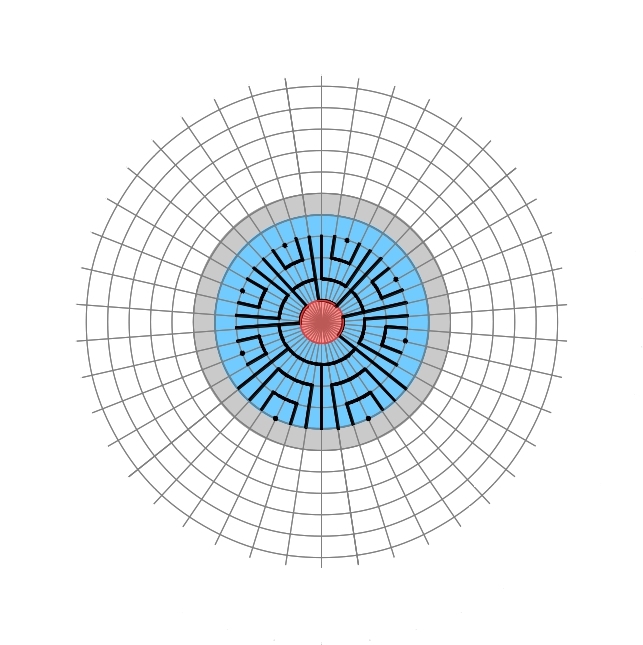 The figure looks much like a labyrinth in the MiM-style because the main axis with it’s 24 of 33 spokes dominates the whole picture. and correspondingly, how the pieces of the pathway traversing the arms have to be designed. More about this in following posts. Does the Chartres Labyrinth hide a Troy Town….